2 Bedroom Flat For Sale in Bournemouth for £385,000. 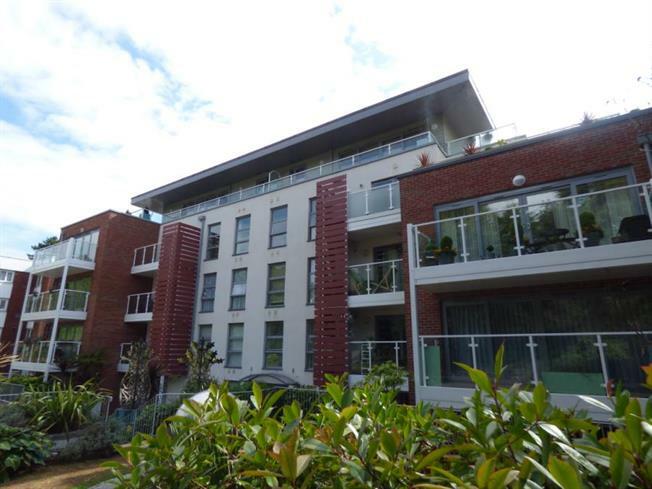 Palmer Snell are pleased to offer for sale this very well presented and spacious 2 bedroom third floor apartment close to Bournemouth town centre, backing on to Bournemouth Gardens and a short walk to local shops, transport links and Bournemouth sea front and beaches. The accommodation comprises of 2 double bedrooms, en-suite to the master, large open plan lounge/kitchen area, modern bathroom, spacious entrance hall and a large sun terrace. The property also has the benefit of a secure intercom entrance system and underground parking. The block 'Central Park' was built in 2013 and comes with the remainder of the original 10 year NHBC guarantee. Viewings are highly recommended. Entrance through wood front door, laminate flooring, doors to all rooms. Smooth ceiling with light points, UPVC double glazed windows, UPVC sliding patio doors leading on to sun terrace, wood laminate flooring, radiator. Smooth ceiling with inset spot lights, UPVC double glazed window, a range of eye and base level units with work surface over including breakfast bar. Integrated oven and microwave, island gas hob, extractor fan, fridge/freezer and dishwasher, sink. A private sun terrace with space for tables and chairs. Smooth ceiling with light point, UPVC double glazed window, radiator, fitted wardrobes, door to en-suite shower room. Smooth ceiling with inset spot lights, tiled walls and floor, double shower cubicle, WC, wash hand basin with built in vanity cupboard. Smooth Ceiling with light point, UPVC double glazed window to front aspect, radiator, fitted wardrobes. Smooth ceiling with inset spotlights, tiled walls and floor, panelled bath with shower attachment, WC, wash hand basin and built in vanity unit, heated towel rail. Secure and gated underground parking with two private spaces.